Aussie Jessica Shirvington’s Disruption and Corruption is one of the most energetic, thrilling and addictive YA dystopians/utopians I have read recently. To say I feel mad-love for this duology would be an understatement so I will try to keep the fan-girling to a minimum…mostly. Shirvington took our current obsession with technology and social media and created a frightening world where relationships are made and destroyed on the basis of how a person rates with another. Business relationships, friendships, marriages, even casual sexual encounters and something as simple and transient as the waitress serving you at your local diner, are all subject to how one rates against the other. As if that was not frightening enough, she also posited a world where these ratings could be manipulated, to benefit those in power and enslave those without it. Fascinatingly scary stuff! I could certainly relate, albeit on a rudimentary level. I tend to be a little obsessed with Goodreads ratings and/or reviews from like-minded reviews when it comes to prospective reads. I just do not want to waste my precious time reading something I will most probably not like. And I often wonder if I am missing on an underrated great read just because I am so dependent on external sources to point me in the right direction. Luckily, I picked up Disruption and Corruption in an impulsive fit at my local bookstore after briefly glancing at blurbs on Goodreads a few days prior. Maggie Stevens. She is definitely one of the more unlikely heroines of the era. She is smart, skilled, manipulative and driven to a fault. She does not use her powers for good…well, not in the way you would expect a typical YA heroine to anyway. I thoroughly enjoyed her learning curve with respect to loyalty, trust and love as well her developing perception of right/wrong. Then there is Quentin. I prefer to call him Quin. Gosh, my heart broke for this guy. Maggie does a number on him and Shirvington did such a brilliant job of demonstrating how he overcomes it. He is very subtle for a YA male lead and I liked that. He is described as tall, dark and gorgeous, like most YA male leads but I liked that Shirvington did not lay on the broodiness too thickly. Quin actually comes off as quite well adjusted in the circumstances and only throws around emotions when needed. Despite some well placed (and equally well qualified) dramatic outbursts, I found him Quin to be refreshingly adaptable in the face of earth-shattering changes. Gus was another brilliant character. 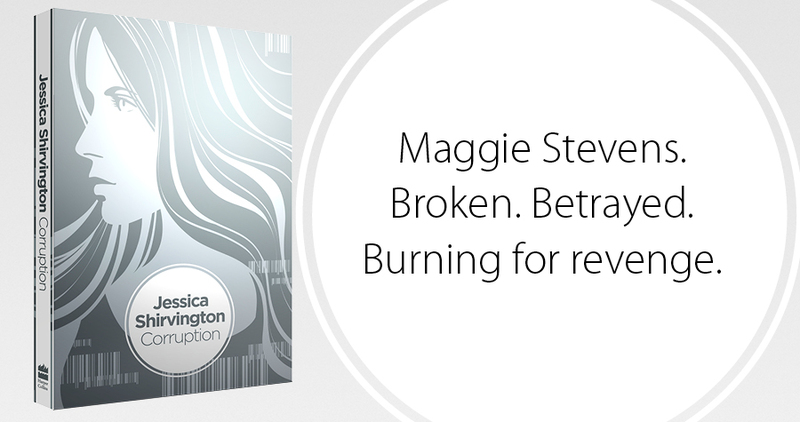 The dynamics between him, Quin and Maggie, particularly Maggie, were outstandingly penned. Maggie and Gus’s exchanges were hilarious and heart-wrenching, I do not know how Shirvington managed this but I loved it. The relationship between Maggie and Quin was so epic, it was frightening! I am not one for all-encompassing romance, but Shirvington qualified their bond so well with scientific authority (of the fictional variety, of course), that I found it hard not to get swept up in it. To her credit it is not traditionally mushy. It is melodramatic, sure, but I loved that the epic-quality of the romance is depicted through crippling angst and crushing-hurt rather than swoon-worthy soul gazes. It was painfully gorgeous and complex and I loved it. Throughout Disruption my heart broke for Quin and I found myself looking forward to or rather dreading how he deals with larger truth when it is revealed to him. And like I said, Shirvington does a great job of demonstrating the after effects of the reveal in Corruption but I would have loved it more if Corruption was from a dual perspective. I just wanted a peak into Quin’s psyche and see first hand the havoc Maggie had created there. Sadistic, I know. But if you have caught on to my inane love of books written from dual perspectives, you would understand why I craved it. In conclusion, I would highly recommend Disruption and Corruption. I believe it to be a great follow up to The Hunger Games and/or The Divergent Series. It features brilliant world-building, witty dialogue, heart-stopping action, heart-melting romance and a break-neck narrative featuring a stellar cast of characters with even better character dynamics (romantic and platonic) In short, un-put-down-able.